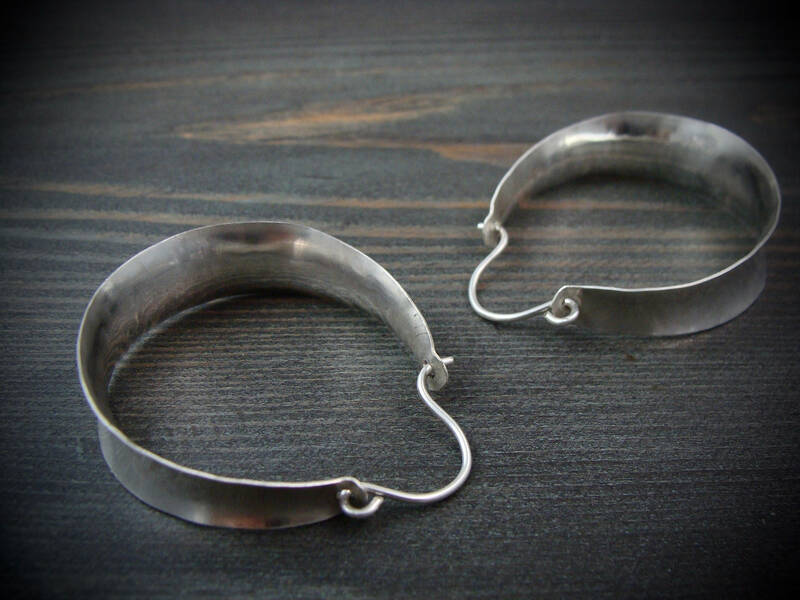 These solid sterling silver hoops have been hand formed into pretty concave earrings. They are wider at the bottom and gently slope in towards the top. 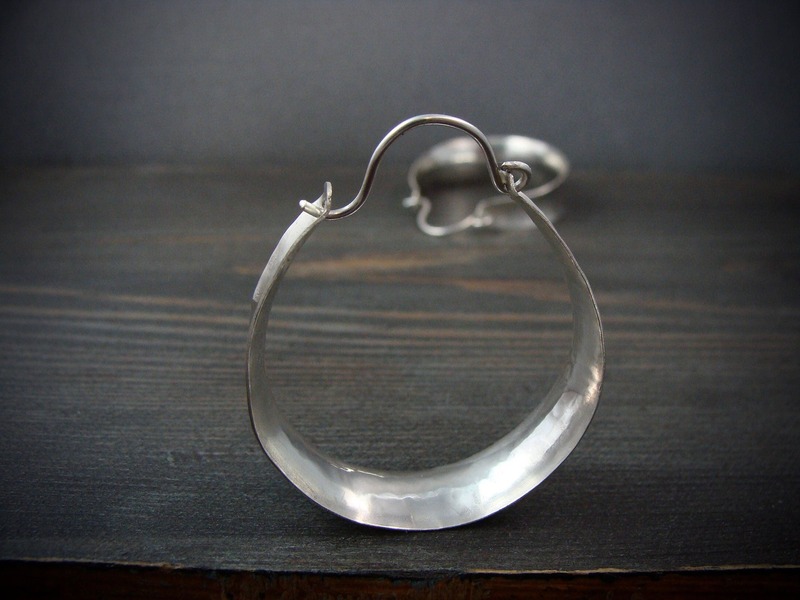 The process in which they are formed makes the metal strong while allowing it to remain very light weight. The metal has been given a shinny finish. 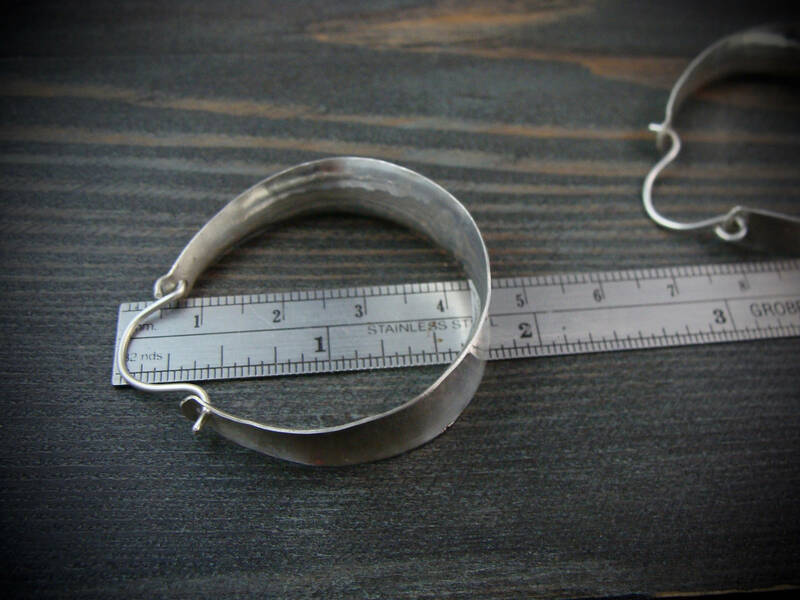 Handmade sterling silver ear wires finish off these unique earrings. ☞ Size 1 1/2 x 1 3/4"
Orders are sent standard First Class. Perfect!! These earrings are beautifully made. Love them! These earrings are terrific. They are ultra light and shiny. 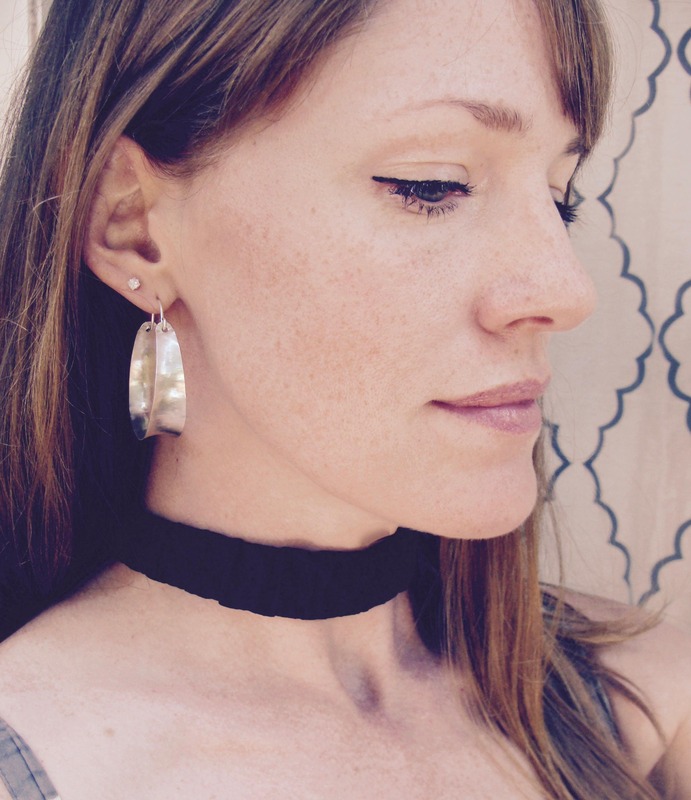 the perfect everyday earrings. Gorgeous earrings! I'm more than pleased with them, thank you! I absolutely love my earrings. 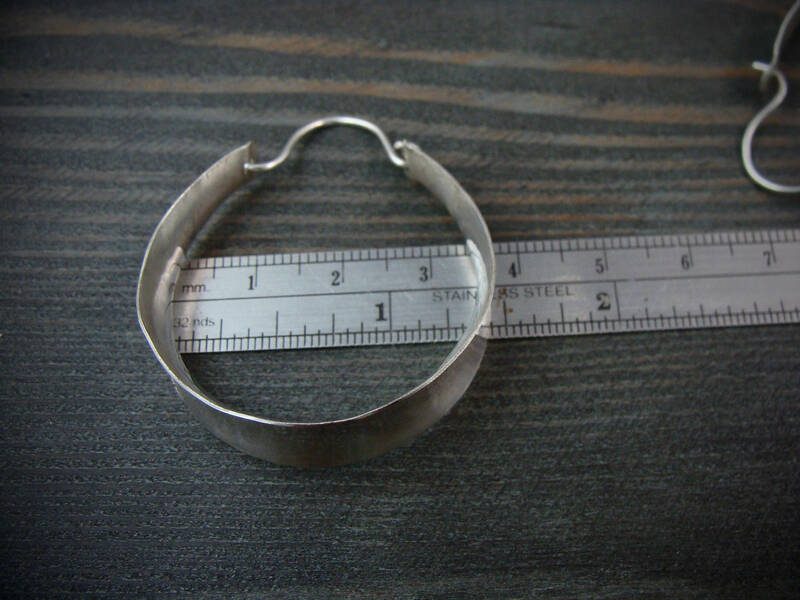 They’re perfectly sized hoops and I love the hammered surface. What I like most is that it is not heavy at all although it looks like it. I look forward to buying more pieces to add to my collection. Thanks Melissa.